The Chinese government hacked into Google's computer systems, a leaked US diplomatic report claims. The Chinese government ordered the Google hack nearly a year ago, according to the New York Times. The NY Times based its report on copies of cables it received from Wikileaks, the whistleblower web site, as part of a cache of more that 250,000 secret or confidential messages from US diplomats made public at the weekend. The NY Times reported: "China's Politburo directed the intrusion into Google's computer systems in that country, a Chinese contact told the American Embassy in Beijing in January, one cable reported. "The Google hacking was part of a co-ordinated campaign of computer sabotage carried out by government operatives, private security experts and internet outlaws recruited by the Chinese government. They have broken into American government computers and those of Western allies, the Dalai Lama and American businesses since 2002, cables said." Google first revealed the hack on 12 January 2010. It said it became aware of the hack via internal sources in mid-December. 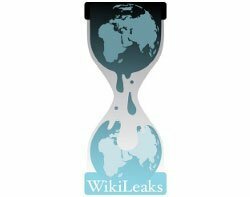 Computer Weekly was unable to confirm the existence of the cable as Wikileaks servers did not respond to queries. Wikileaks said on Sunday evening (UK time) via Twitter that it was suffering a distributed denial of service (DDoS) attack. However, massive public interest in the documents would have had the same effect as a DDoS attack. After a briefing by US diplomats, the UK government issued a D-notice asking editors of mainstream media to seek its advice before they published stories containing content from the Wikileaks cache.